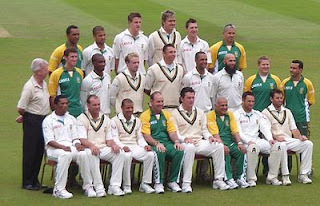 Today on Saturday 8 May 2010 in second match of T20 World cup 2010 Super Eight round South Africa is facing England. England won the toss and decided to bat first. England has set total of 168 runs for loss of 7 wickets in 20 overs. Today South Africa done lot of miss fielding in first few overs which helped England to bat well. South Africa batting is going to start in few minutes and they have a very good batting line. Lets see will South Africa be able to get this total or not? its an important match for both the teams for going to Semi Final round.